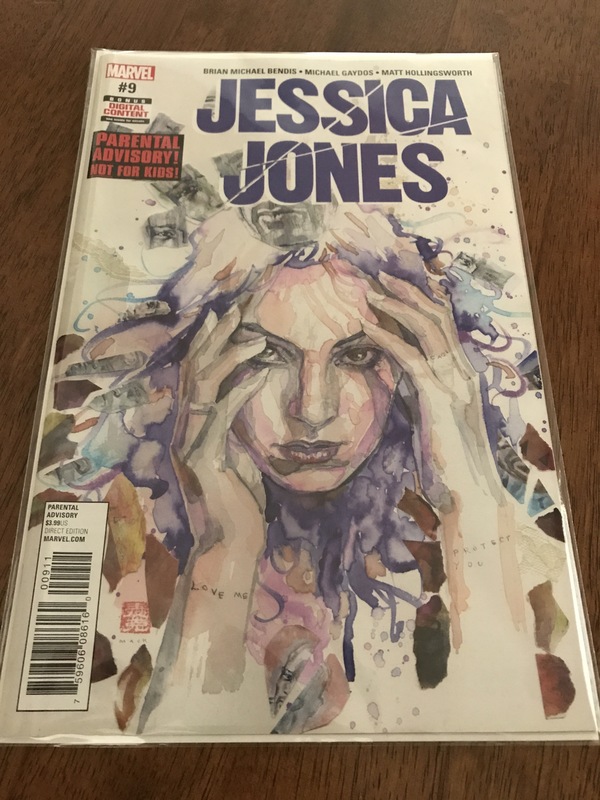 I just finished reading Jessica Jones #9 I feel for that woman. She keeps helping and she keeps getting screwed. I hope the story picks up. I want more to Jessica Jones. Keep in mind I am new to reading all this comics. Here is a photo of the cover I got! I love the covers on this series. If you read this series let me know what you think!